Base and leg options include metal legs, wooden legs, a metal sled or a trestle base. A simple gesture, a sensuous feel. 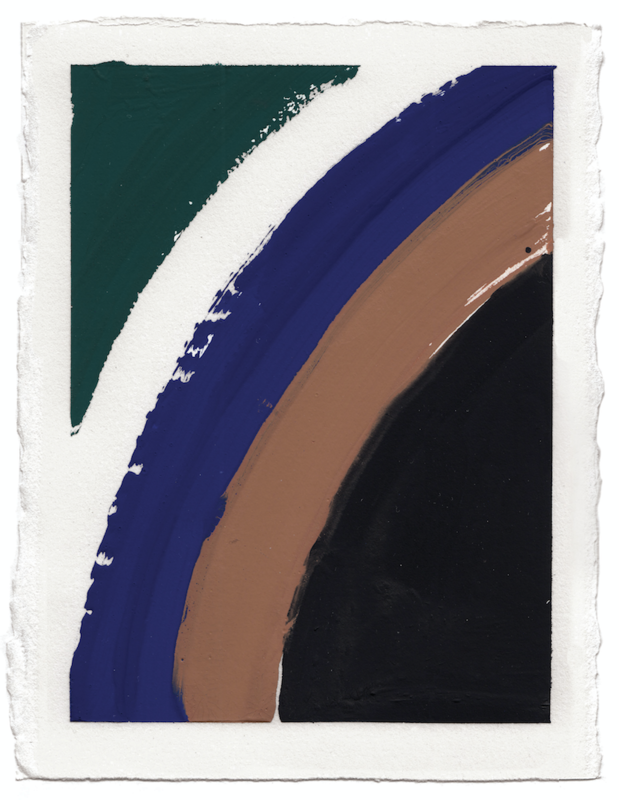 Cila's fluid form was inspired by the image of layers of cloth enveloping the body. Its silhouette of smooth lines retains a graphic character from its distinctive curve––the most essential symbol of shelter. Like being protected, like being held. 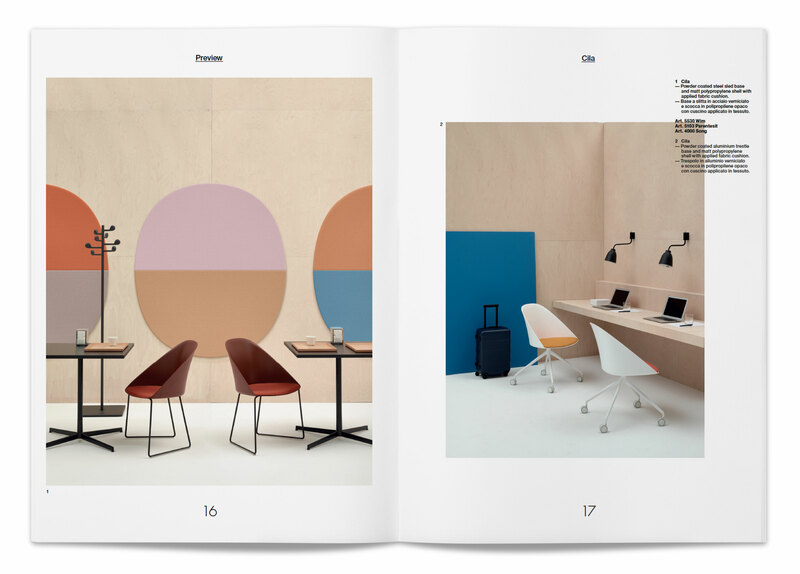 Workplace - Cila with trestle base. 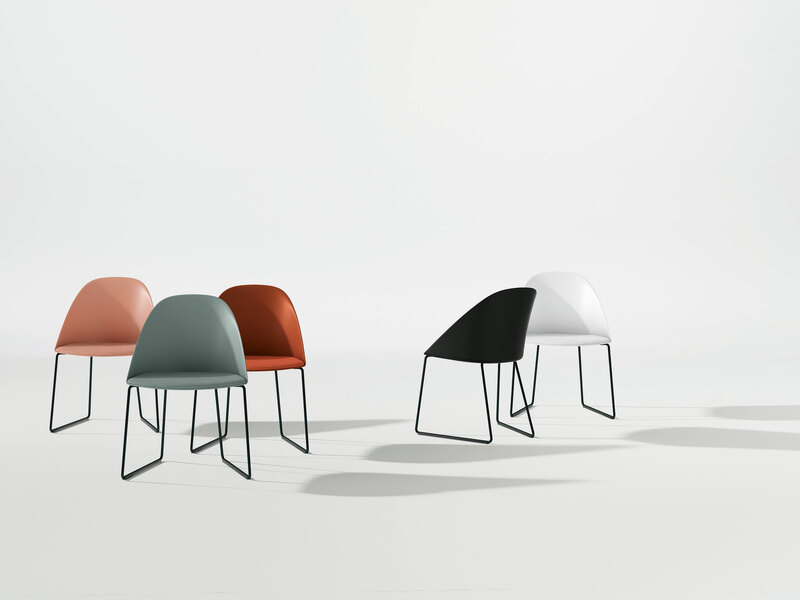 Cila’s plastic shell can be customized in six colors with optional seat cushions or be fully upholstered. 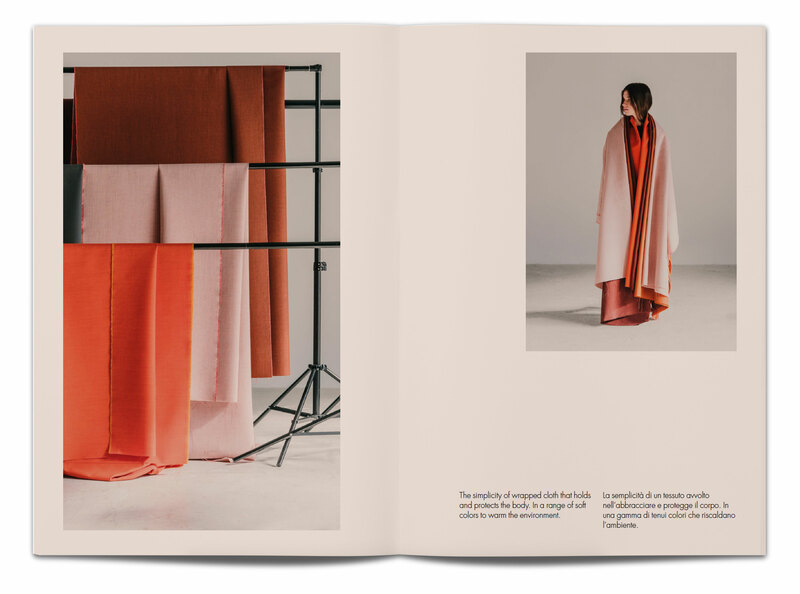 Inspired by the image of layers of cloth enveloping the body. Especially well suited for dining. 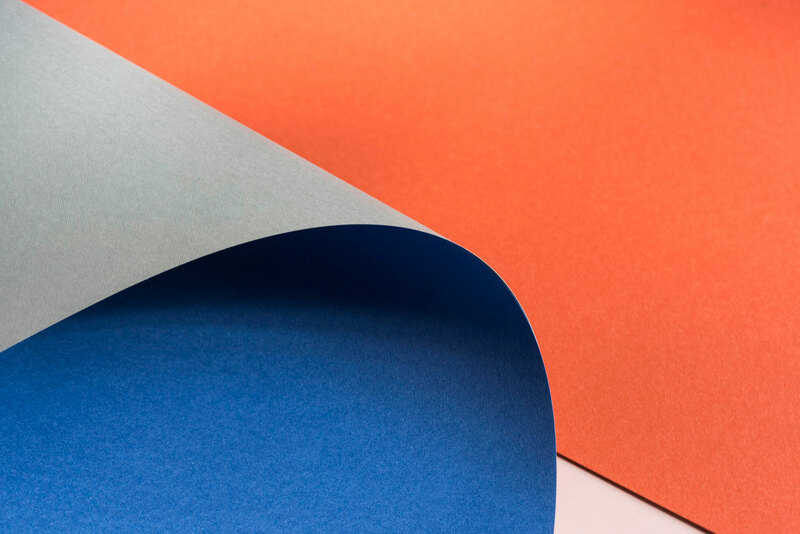 5 colors for Cila plastic shell. 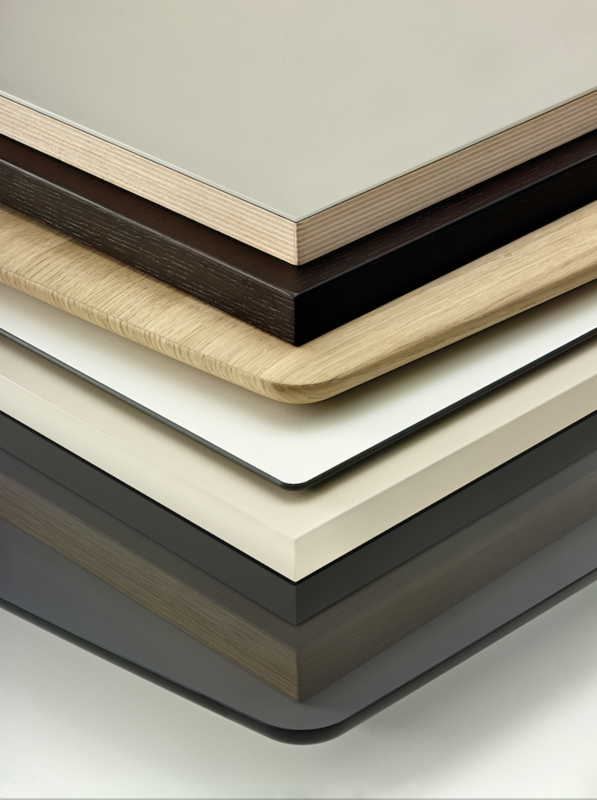 Cila’s easy shape blends into both residential and contract environments. A simple gesture, a sensuous feel. 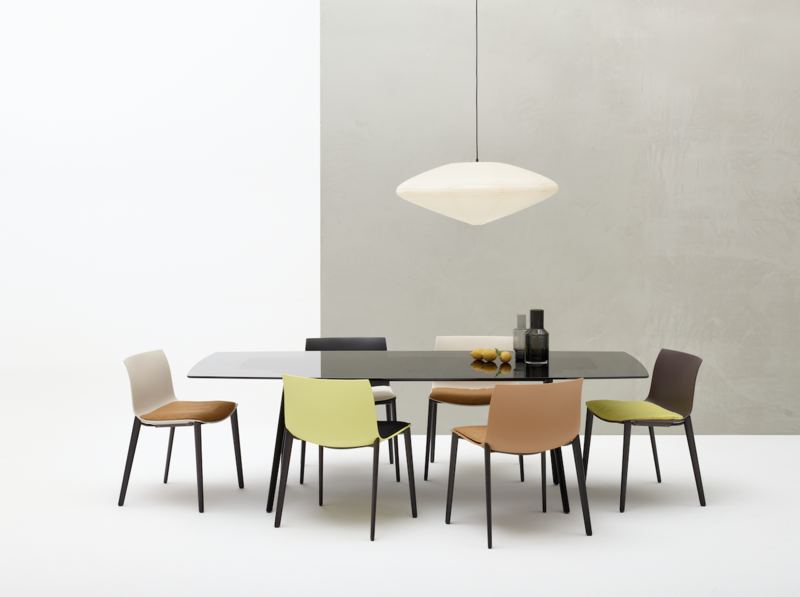 Cila’s silhouette of smooth lines retains a graphic character from its distinctive curve. 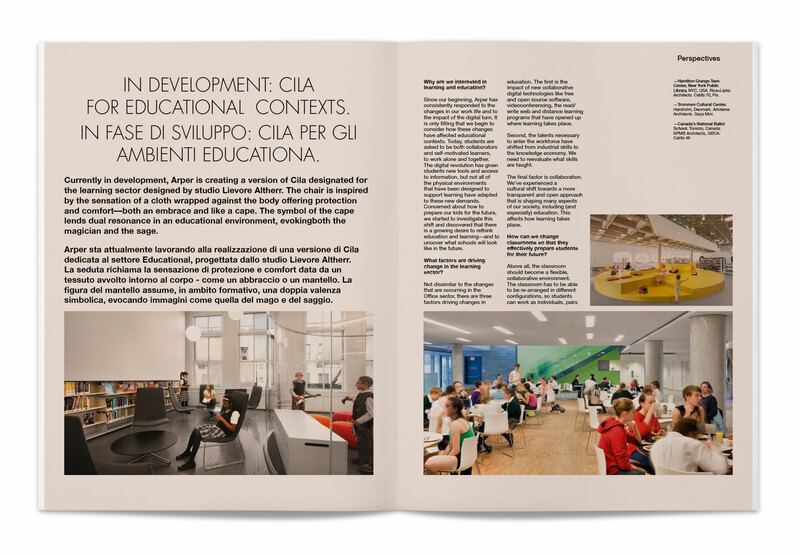 Cila Educational’s booklet - Educational contexts. Developing a new version of Cilas designated for the learning sector. The shape reminds a cape, a symbol that lends dual resonance in an educational environment, evoking the both the magi- cian and the sage. 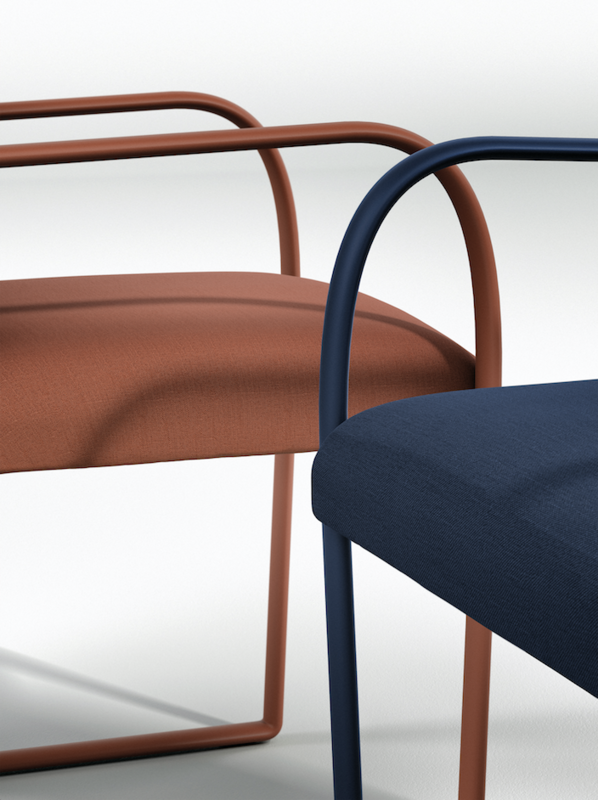 The geometry that inspired the gesture of the chair is softened with an organic element. 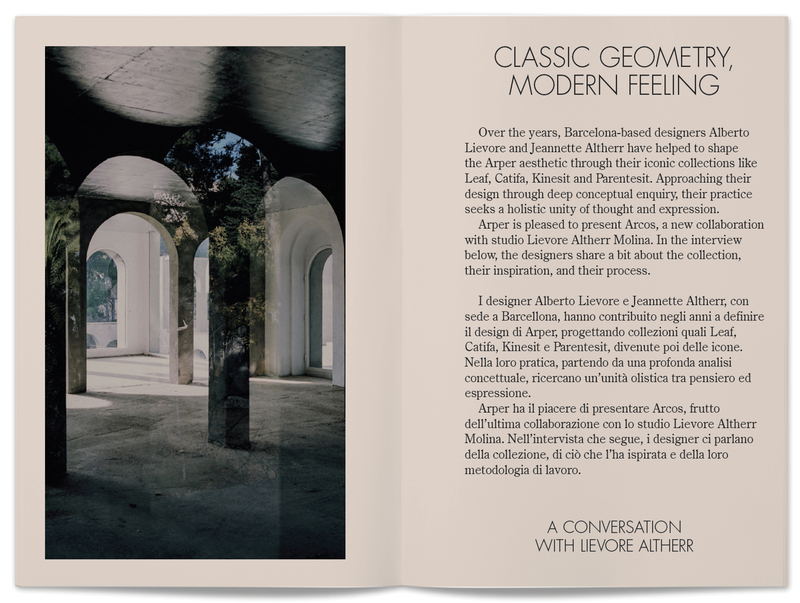 The Arcos collection mirrors its classical source of inspiration in both form and context. 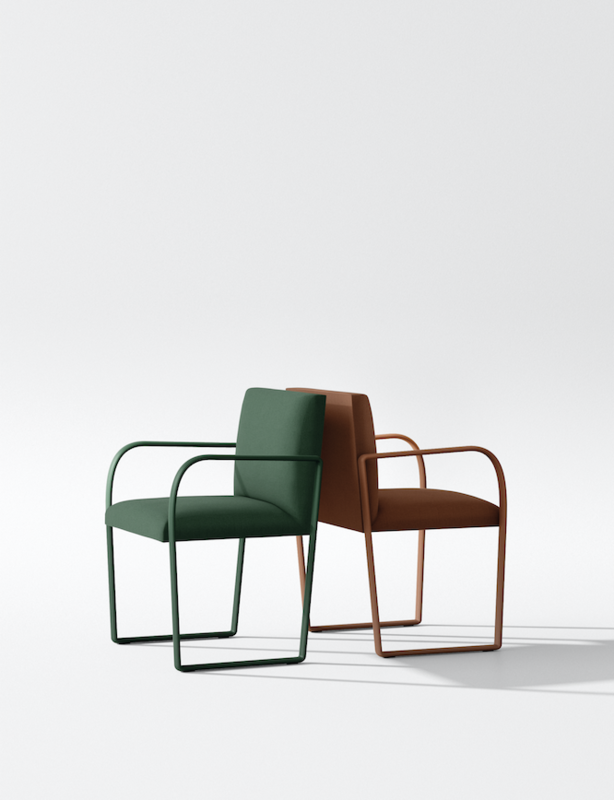 Designed with public spaces in mind, the collection features a chair, lounge chair and sofa, all with armrests to accommodate lounge, dining, and waiting room settings. 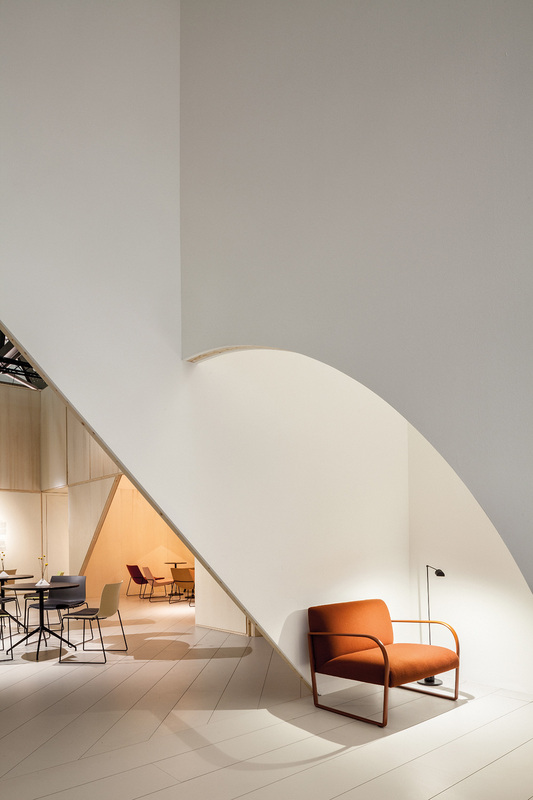 Arc is designed to be in dialogue with Steeve, Parentesit and Cross to create comfortable environments for rest, relaxation and socializing. 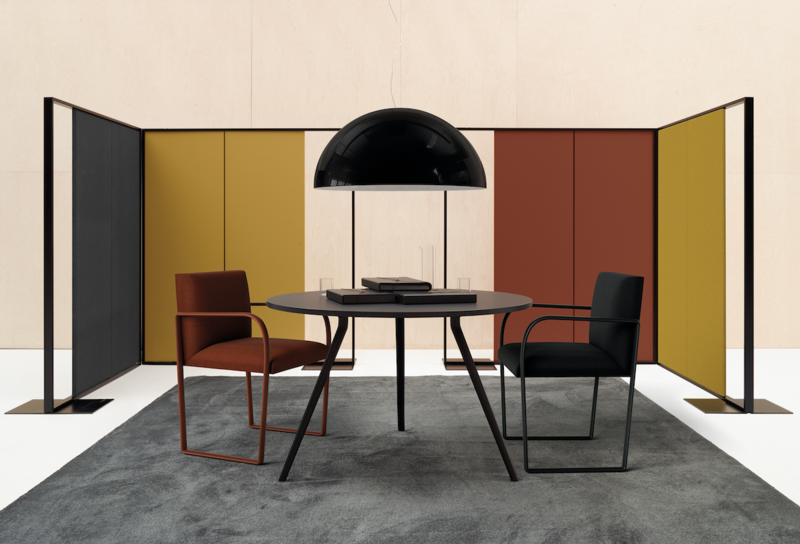 Special care was dedicated to the color customizations with the possibility to create a monochrome of velvet-like, inky hues in both upholstery and matte lacquer metal for an expression that signals understated expression. Arcos is currently in preview with customized orders beginning January 2018. 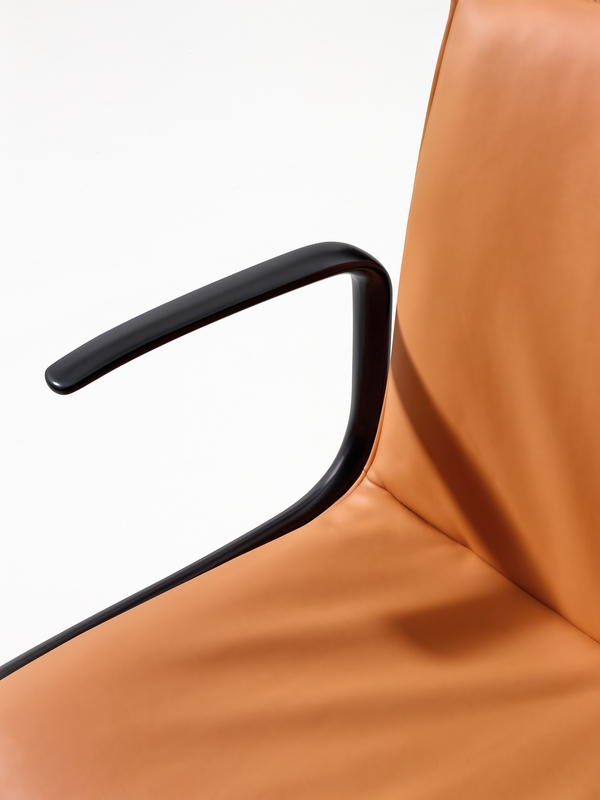 Arcos maintains a graphic presence due to its signature cast aluminum armrests. 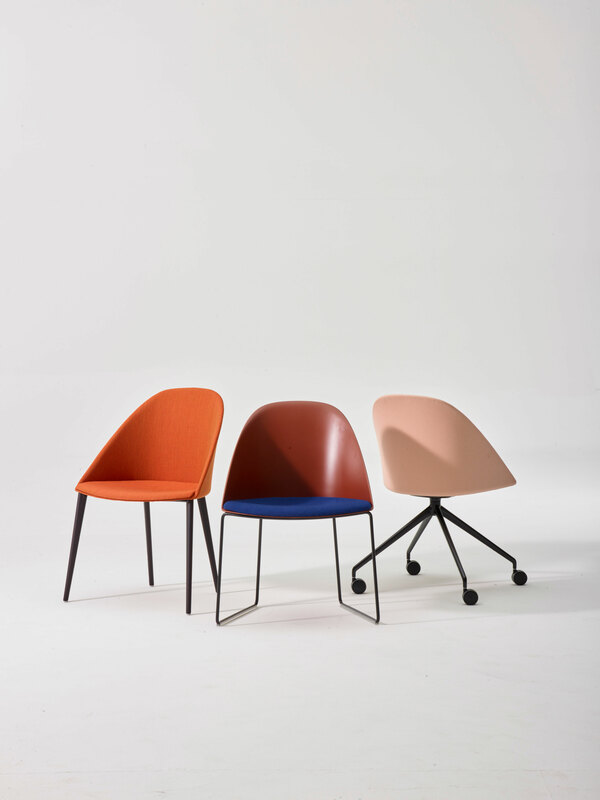 Special care was dedicated to the color customizations with the possibility to create a monochrome of velvet-like, inky hues in both upholstery and matte lacquer metal. 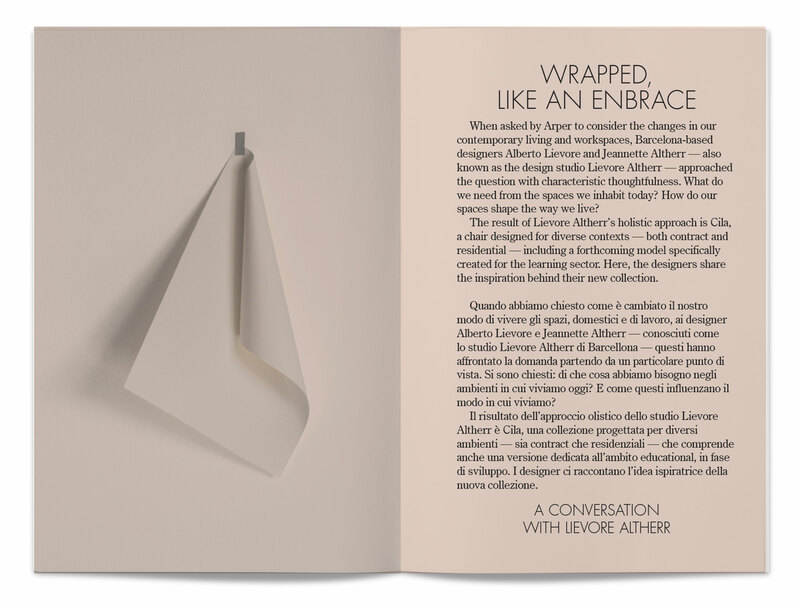 Booklet - armrests evoke the elegant rhythm of archways in the corridors and walkways of classical architecture. 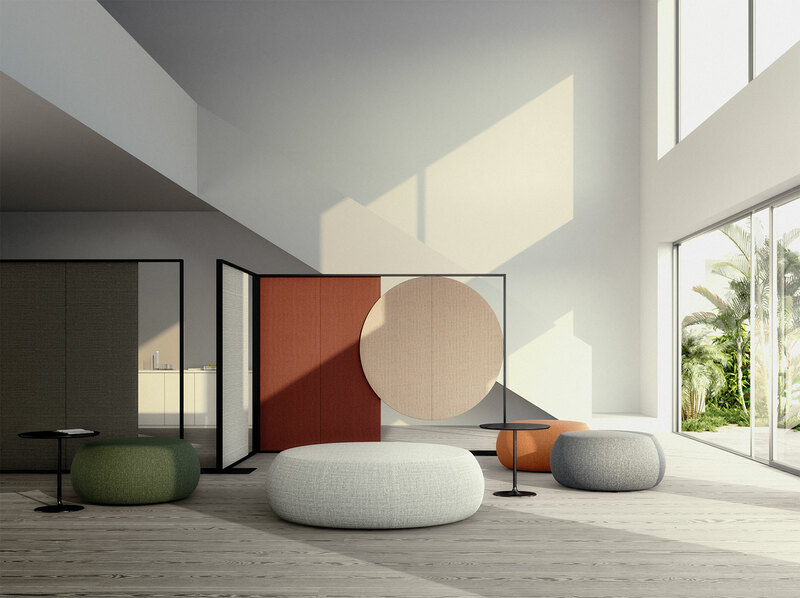 Designed to be in dialogue with Steeve, Parentesit and Cross to create comfortable environments for rest, relaxation and socializing. 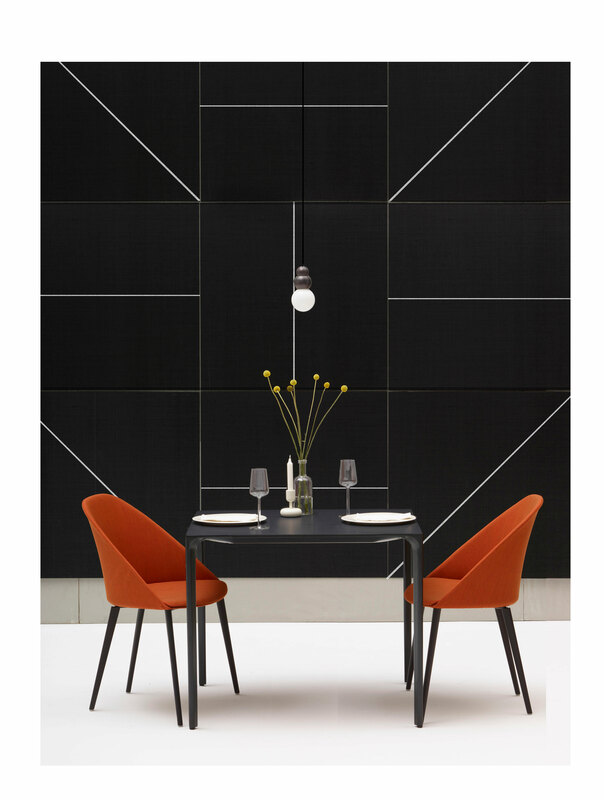 The Arcos collection is a restrained interpretation of Art Deco’s geometric glamour. 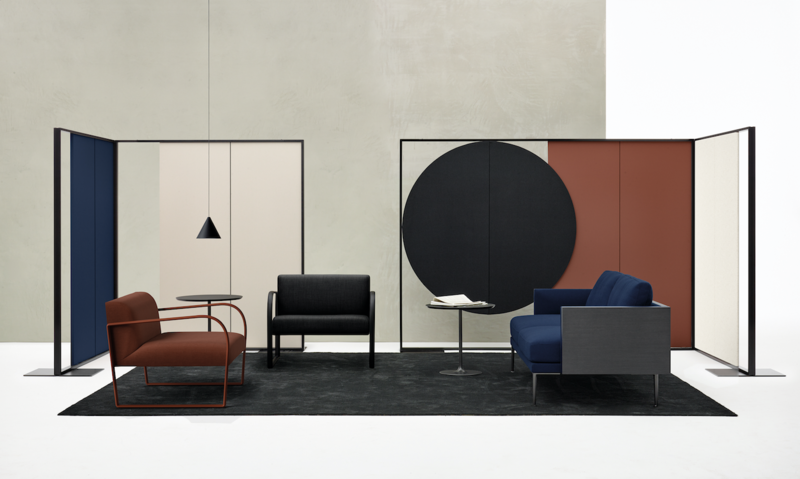 Designed with public spaces in mind, the collection features a chair, lounge chair and sofa, all with armrests to accommo- date lounge, dining, and waiting room settings. New optional armrests and plush padding to lend stately comfort and support to boardrooms, workplaces, home of ces, and conference rooms. 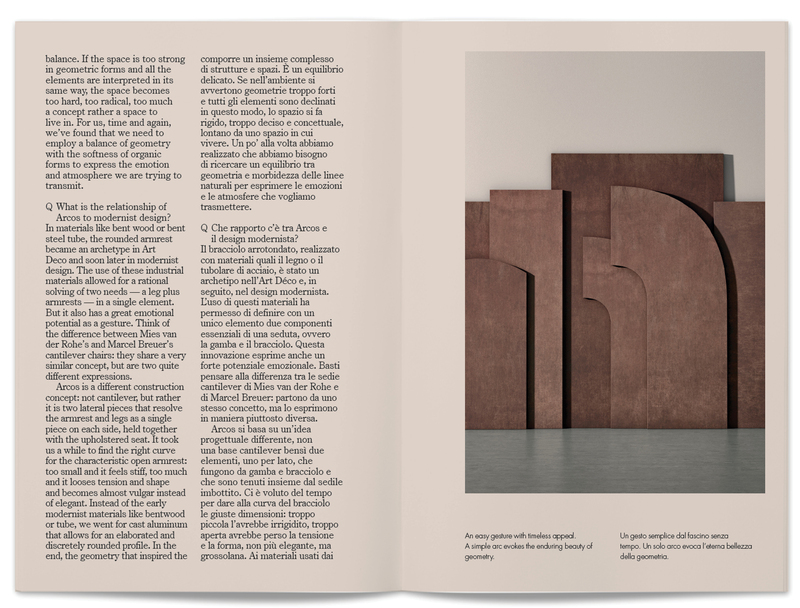 Catifa 53’s iconic shape is ubiquitous in use. 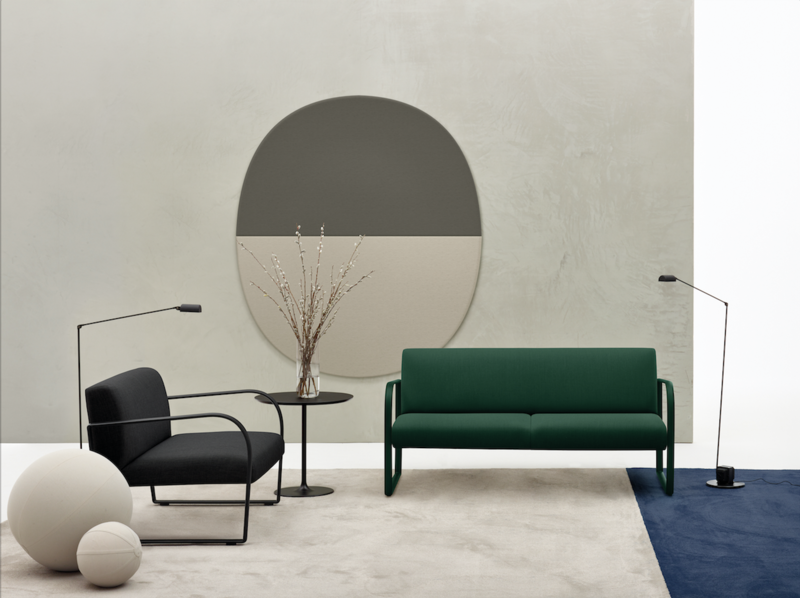 Comfortable in both residential and contract environments, the collection has been available in an array of colors, materials and constructions. 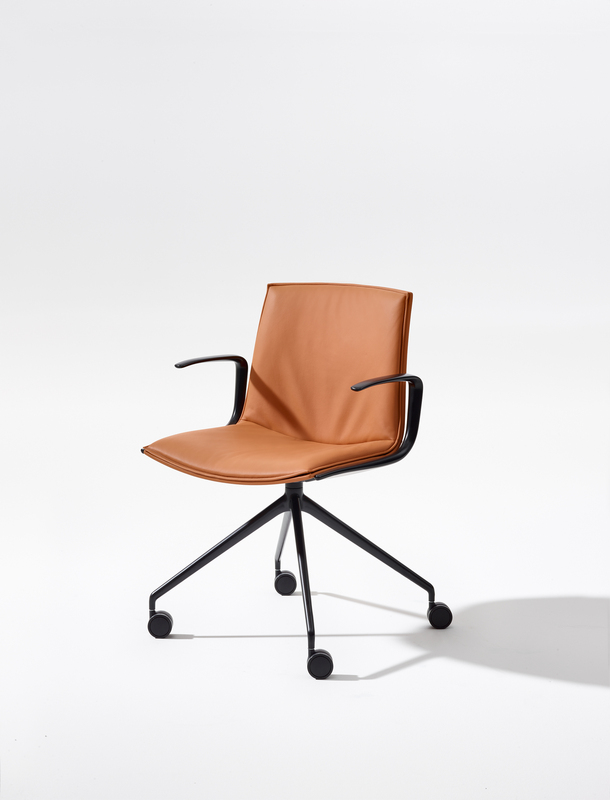 New for 2017, Catifa 53 is now available in a high backrest model with optional armrests and plush padding to lend stately comfort and support to boardrooms, workplaces, home offices, and conference rooms. 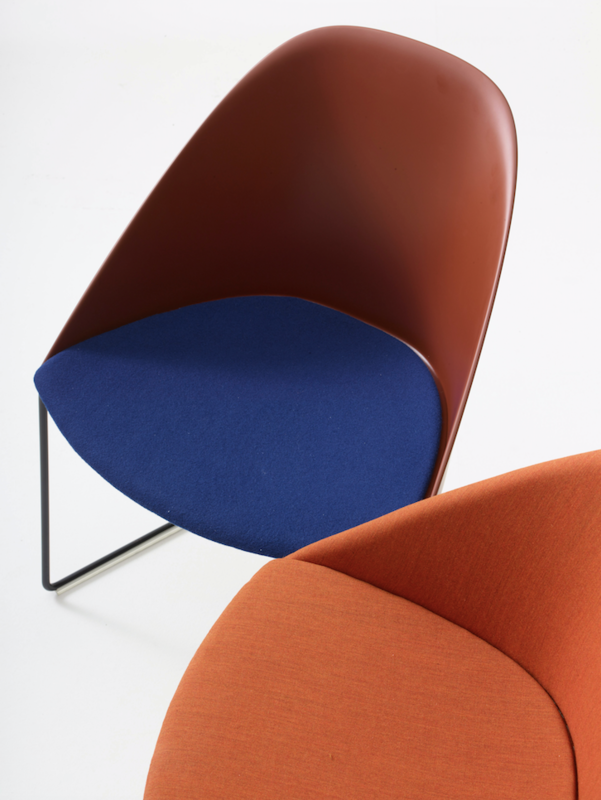 A new range of upholstery options, including a fully upholstered shell, delivers visual intrigue to an indelible design. With Catifa 53, elegance and comfort team up to get the job done. 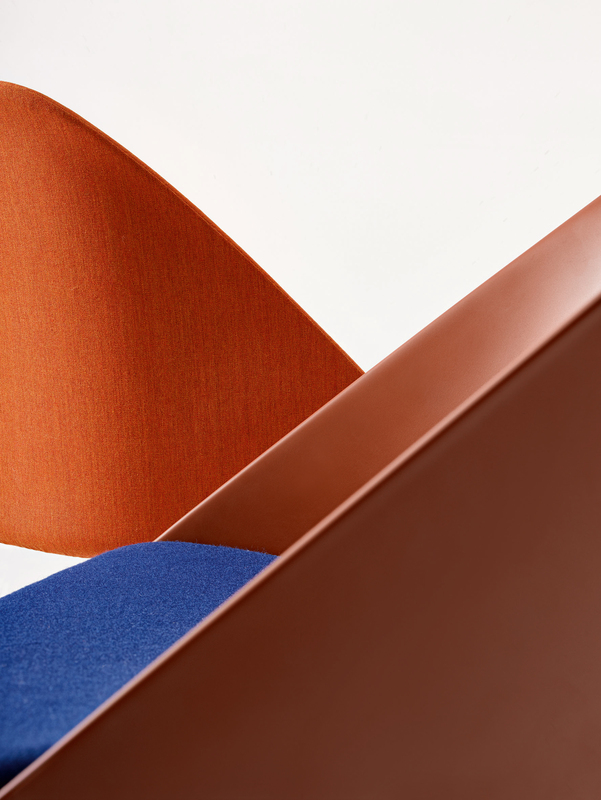 Catifa 53 Up offers a new range of upholstery options, including a fully upholstered shell. 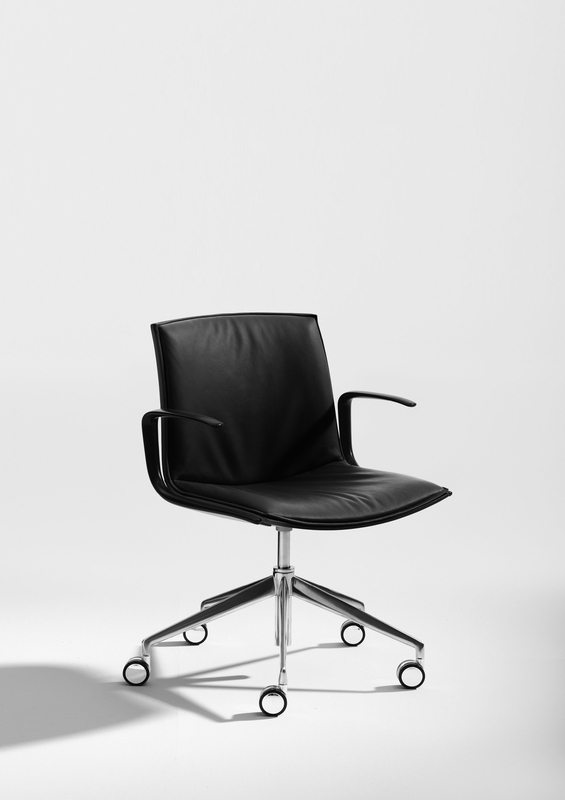 Comfortable in both residential and contract environments. 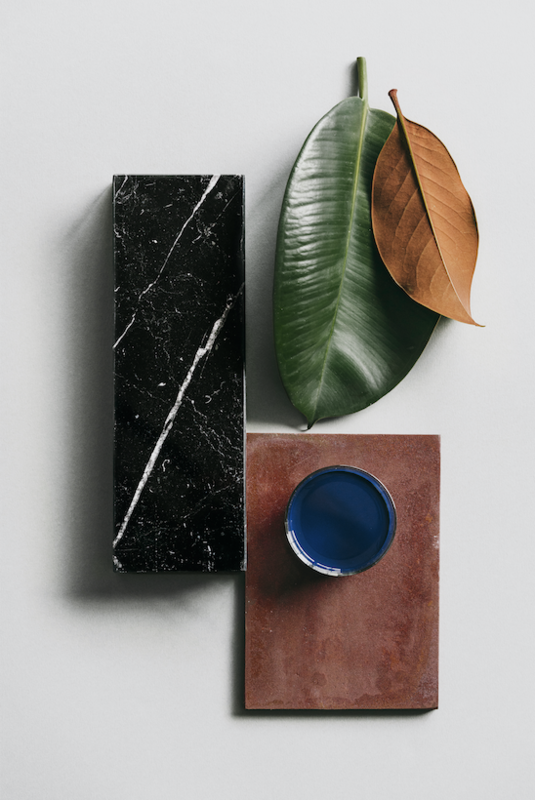 New thick and substantial smoked glass tabletop options in round or rectangular shapes. 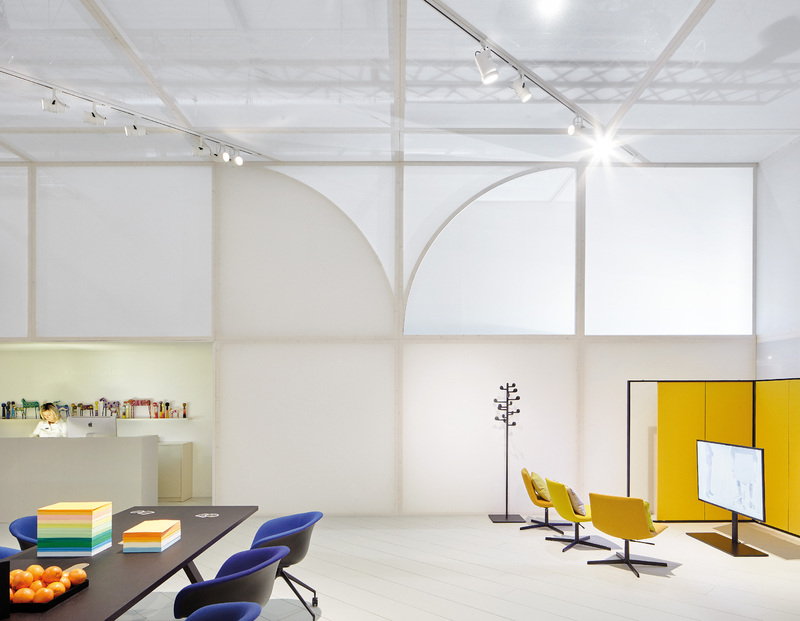 Designed by Lievore Altherr Molina, Meety borrows its visual language from the architecture of the bridge: strong but lightweight, supportive but with room for air. Meety’s distinctive aluminum legs provide a sturdy foundation to suspend multiple tabletop options that can be customized to suit diverse contexts. For large group gatherings or the intimacy of home life, Meety’s elegant system has an option to suit any need: a soft, fluid soap shape imparts warmth and openness while the trapezoid tabletop shape can be arranged to meet the myriad demands of the workplace. Meety’s distinctive aluminum legs provide a sturdy foundation to suspend multiple tabletop options that can be customized to suit diverse contexts. 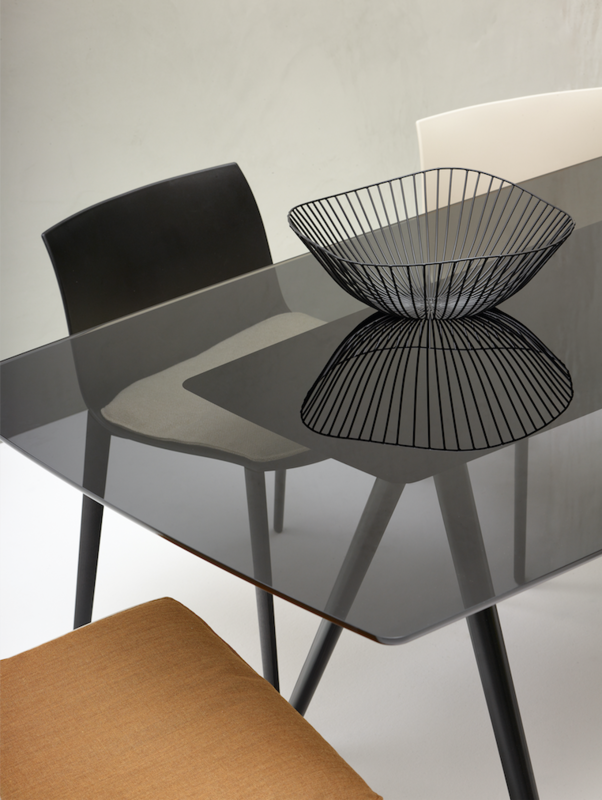 Dining - New smoked glass finish combined with Catifa 53. Meety’s elegant system has an option to suit any need. and sound system controllable via Bluetooth app for enhanced environmental control. 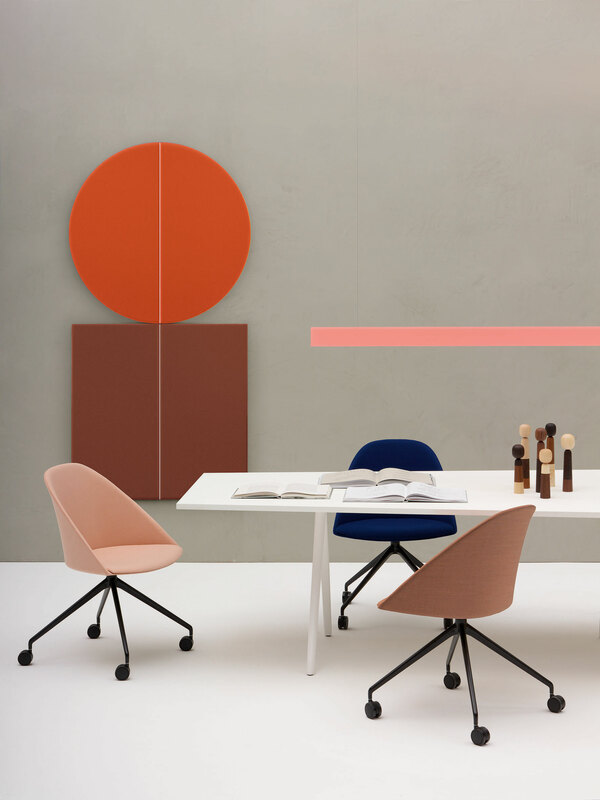 Designed by Lievore Altherr Molina, Parentesit was created with a dual inspiration of minimalist art and classic Japanese interiors. 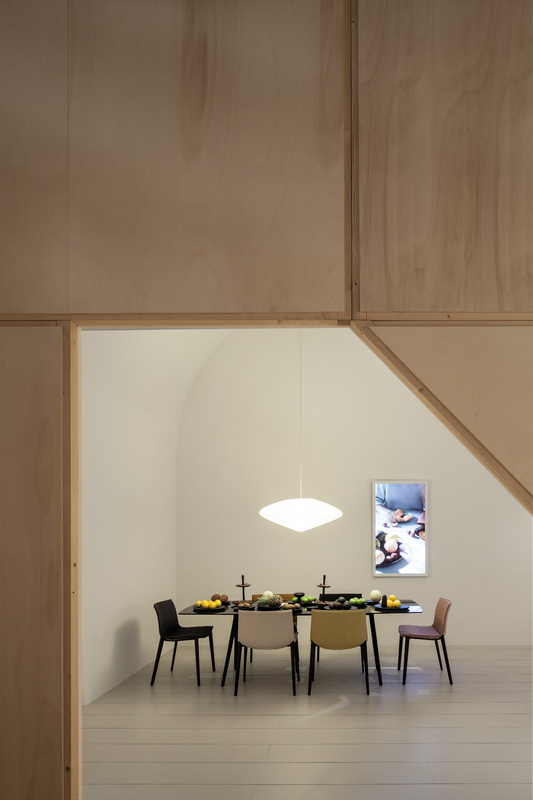 To shi this approach to an architectural scale, Parentesit Freestanding has become a screen, capable of dividing a room in half, or partitio- ning o a space for quiet, independent thought. 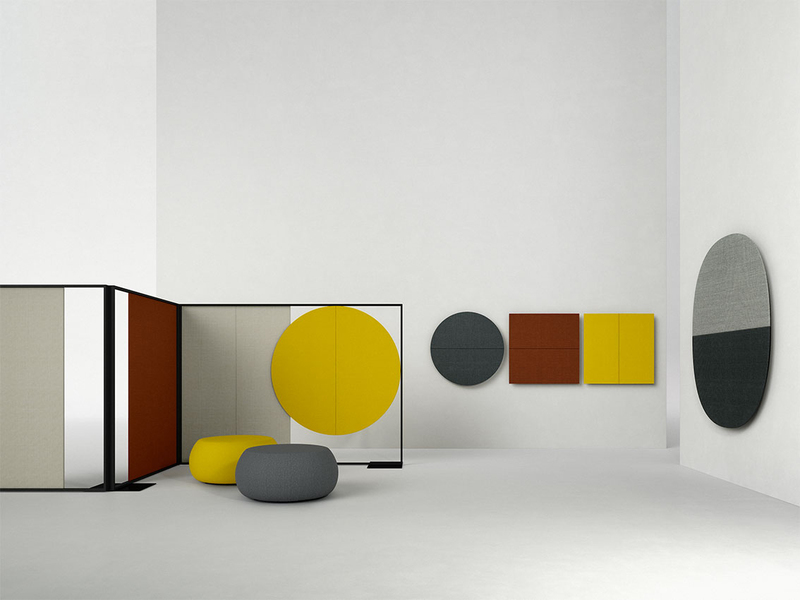 Modular by design, each screen can be combined to realize new spatial compositions that reinforce or distinguish it from its architectural environment. 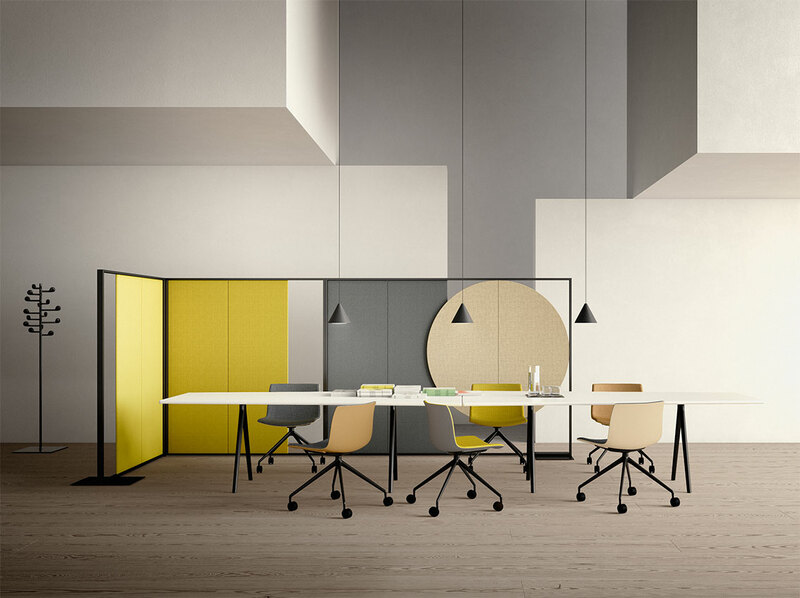 e newly added technology available in Parentesit Wall Panel allows for the Parentesit range to increase the possibilities of a customizable environment while still retaining a visual signature across uses. 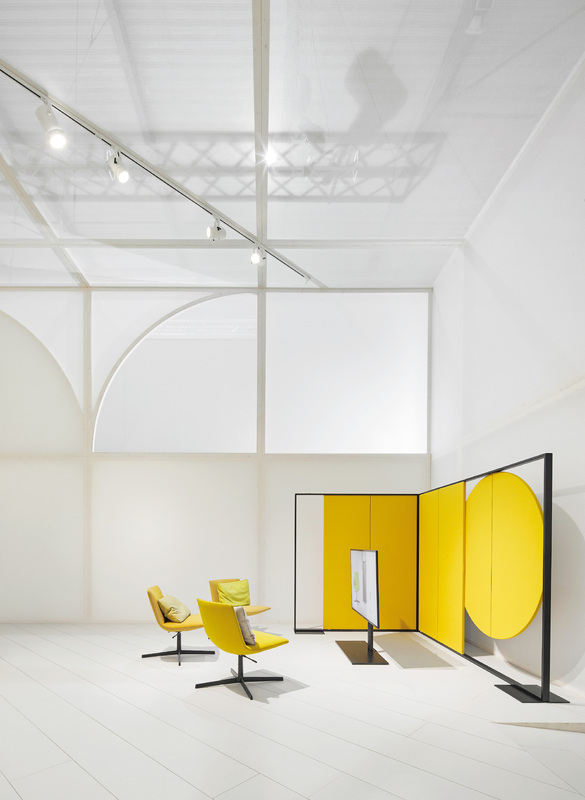 Modular by design, each screen can be combined to realize new spatial composi- tions that reinforce or distinguish it from its architectural environment. 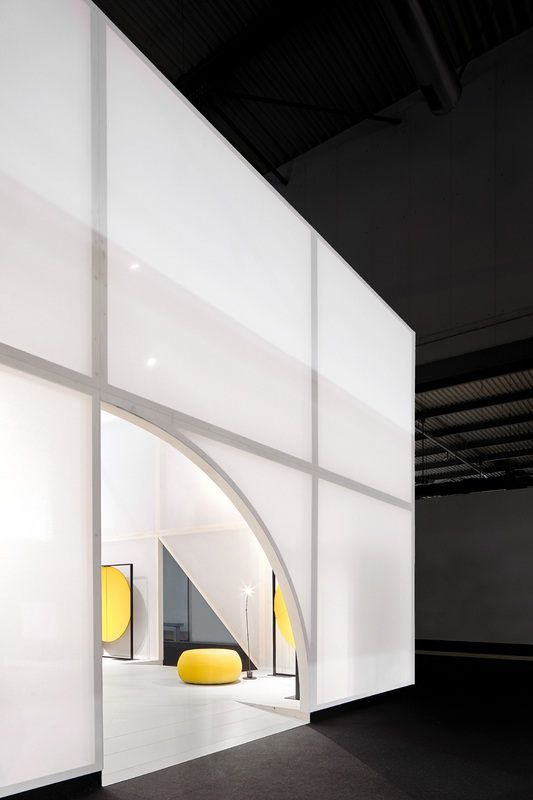 Parentesit Freestanding has become a screen, capable of dividing a room in half, or partitioning off a space for quiet, independent thought. Parentesit Freestanding for lounge areas in public spaces. 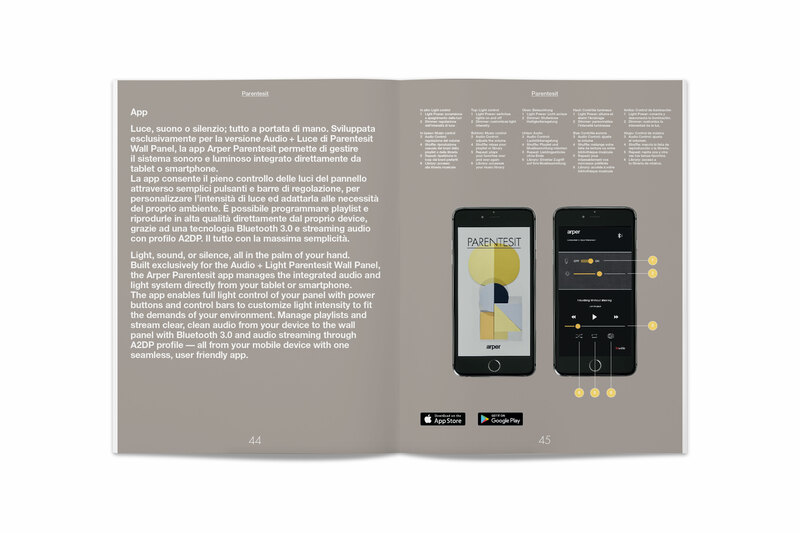 Parentesit Brochure - Parentesit Wall Panel is newly updated with a light and sound system controllable via Bluetooth app for enhanced environmental control. A system defined by a set of simple elements that can be composed and reorganized depending on the site. 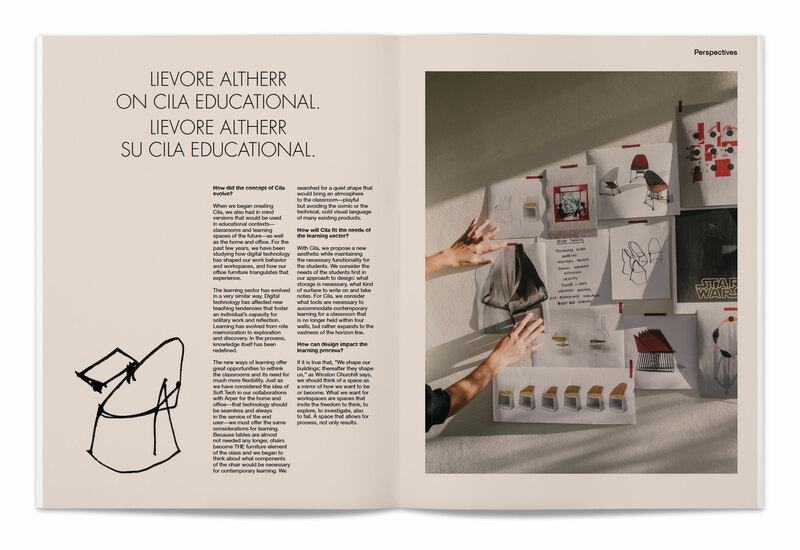 The system has been presented at Salone del Mobile, creating two very different expressions. 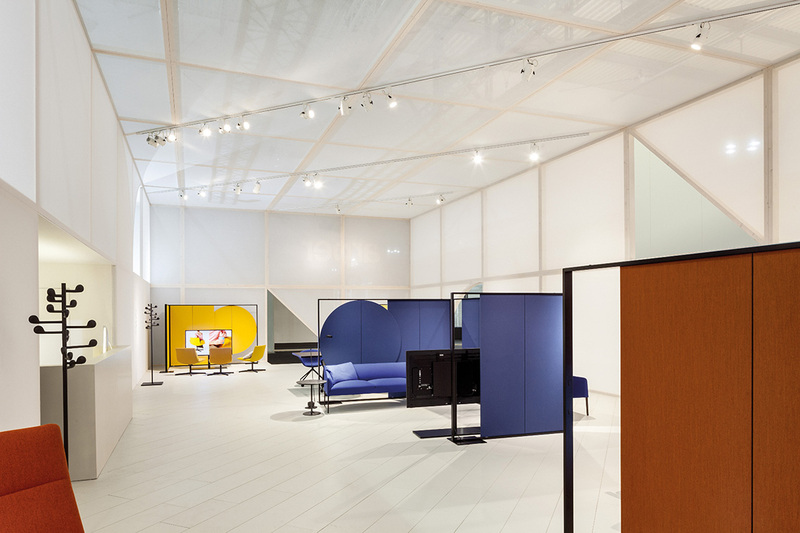 At Arper’s main booth, the system defines a piazza, surrounded by rooms wherein the furniture is shown, all covered in an opaque material. You can enter the rooms from the piazza, or via the connections between them. 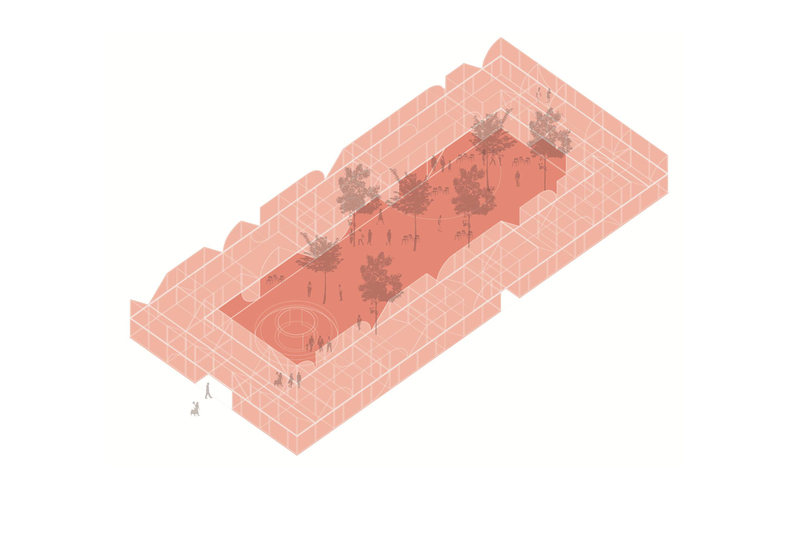 The idea is that we build an experience of visiting the pavilion, defining areas you have to approach and enter to experience. 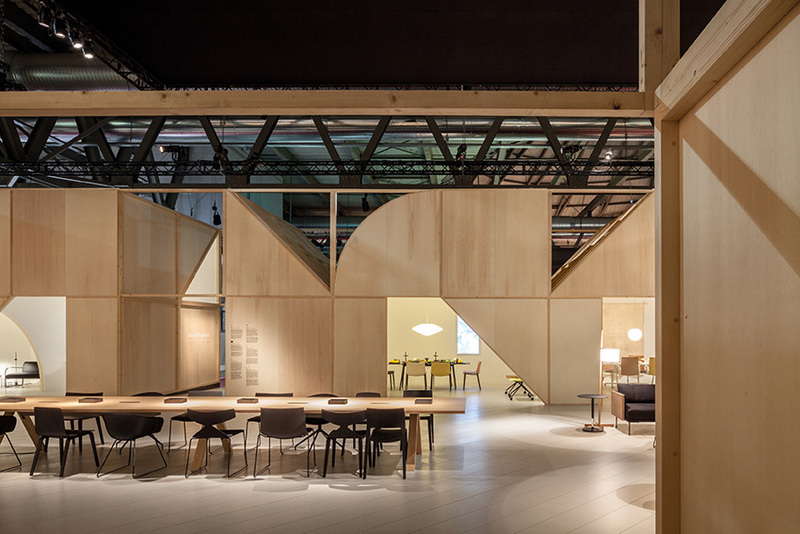 Each is a unique space that can be understood both as a room and a “building” within an urban landscape. 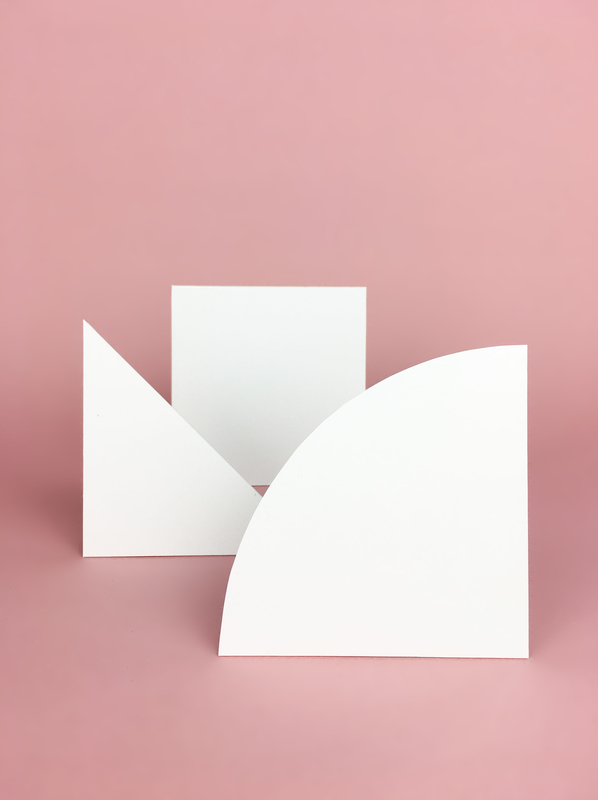 that plays with a translucent material in order to work with shadows and transparency. So totally, totally the opposite. 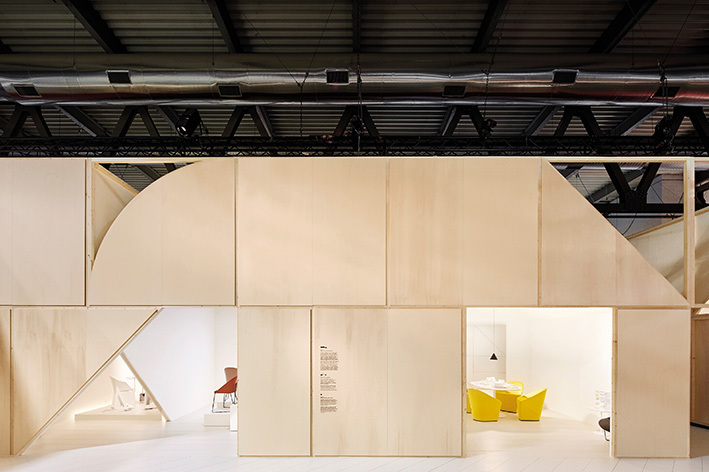 Studio Altherr was in charge of the creative direction and took care of the Styling concept, storytelling and finishes of both the I saloni and the EIMU booth. PAV 16 - Five simple elements create a world of possible forms. 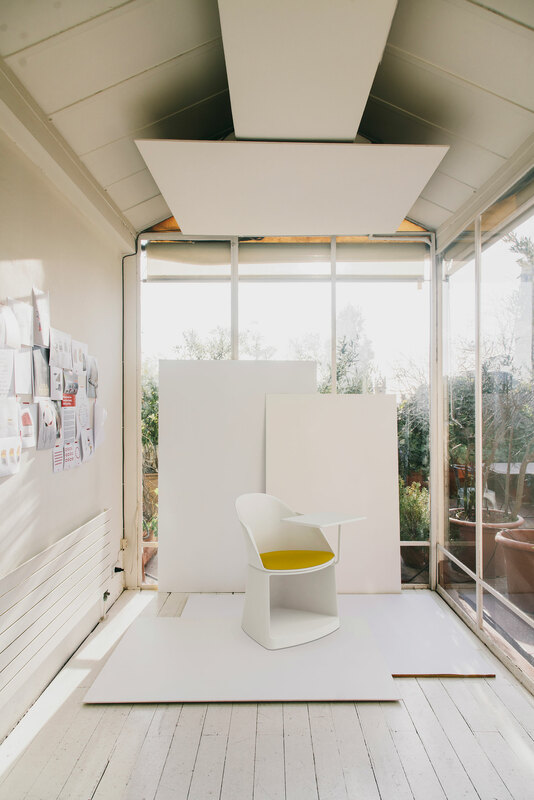 PAV 16 - Creative direction / New Arcos lounge chair. 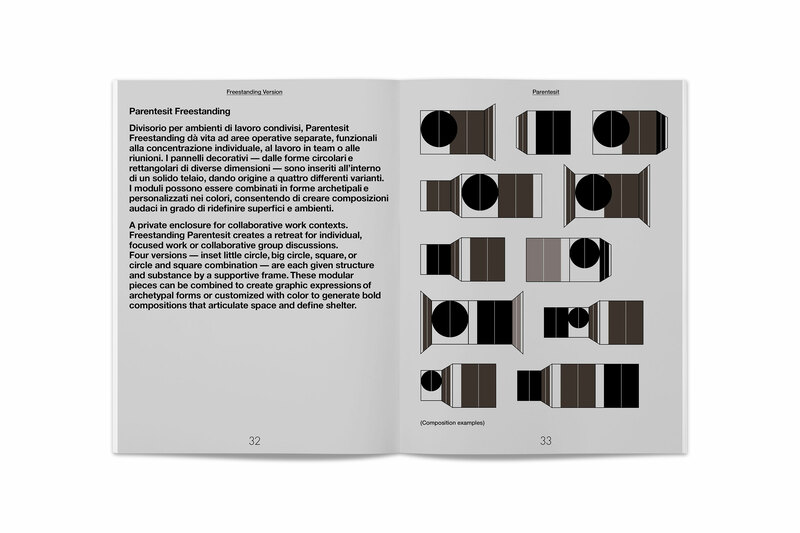 PAV 16 - A system made of simple, singular forms. Customizable and variable while resilient. PAV 16 - View of one of the vignettes / Catifa 53, round Meety table, Song coat hanger. 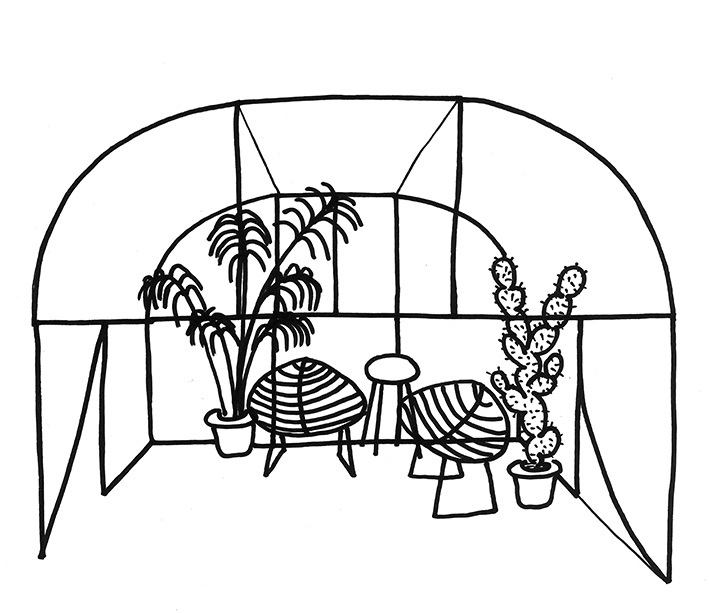 PAV 16 - Drawing from Maio Architects of one of the vignettes. PAV 16 - View of the big piazza. PAV 20 - A simple box that plays with a translucent material in order to work with shadows and transparency. PAV 20 - Creative direction / Parentesit Freestanding and Catina Sensit.